This weekend, DC Institute hosted a workshop on platelet-rich blood derivatives with Dr. Paul Jang, our Faculty Periodontist, at Evergreen Brick Works in Toronto. Kicking off 2018 with Endodontics Seminars in Vancouver! 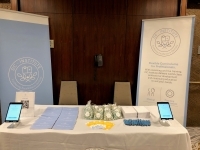 DC Institute was proud to attend the First Canadian Dental Student Conference this past weekend in Toronto at The Westin Harbour Castle Conference Centre. 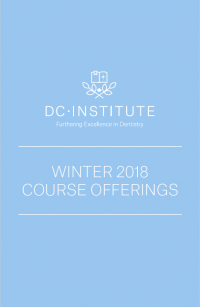 Now available - DC Institute's Winter 2018 Course Offerings. Download now to view upcoming courses and early bird offers. DC Institute was pleased to offer an endodontic seminar and hands-on session with Dr. Gary Glassman in Toronto’s Queen West area on Friday, October 20th. Event Recap - Orthodontic Seminars with Dr. Sam Daher in Vancouver, BC. 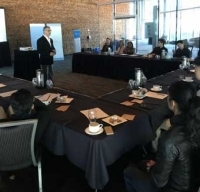 DC Institute was pleased to offer Invisalign Fundamentals, ClinCheck and Accelerated Orthodontics on September 21st and 22nd in beautiful Vancouver, BC. Download to learn more about our fall offerings including hands-on sessions with specialists in orthodontics, endodontics and general dentistry.